With a drive to seek the next challenge and a passion to ensure it is met beyond expected standards, Michael believes his 10 years working in the finance industry in various consulting and managerial positions has taught him invaluable skills about customer communication, internet marketing and perception - skills which are all essential components of real estate. Furthermore he has the added ability to provide solutions to difficult transactions and some of the more challenging property deals. Michael feels no project is too big in his 11 years of working in the real estate industry, and the last three with Laing + Simmons he is already known for getting record prices on many of his sales in the Parramatta region while having a near impeccable record achieving a 99% sales to listing ratio in his time in Parramatta. He puts it down to the added benefits he provides, and always looks at how to maximise the outcome for his clients. 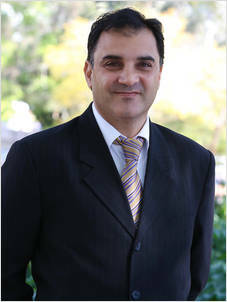 He has specialised knowledge in property improvement and transformations and brings a wealth of knowledge to marketing techniques and strategies. His many qualifications include Diploma’s and accreditation's in accounting, finance and real estate and sound production. He is a family man who loves to research new technology and innovations in online marketing, Michael finds no boundaries in his job and loves to see broad smiles on his customer’s faces at the end of the day.